● Robert Chaen & ● ChangeU International (offering corporate training, 1-on-1 CEO coaching, headhunting, keynote speaking - to give 30% of earnings collected in Oct.-Dec. 2017. ​Hurry! 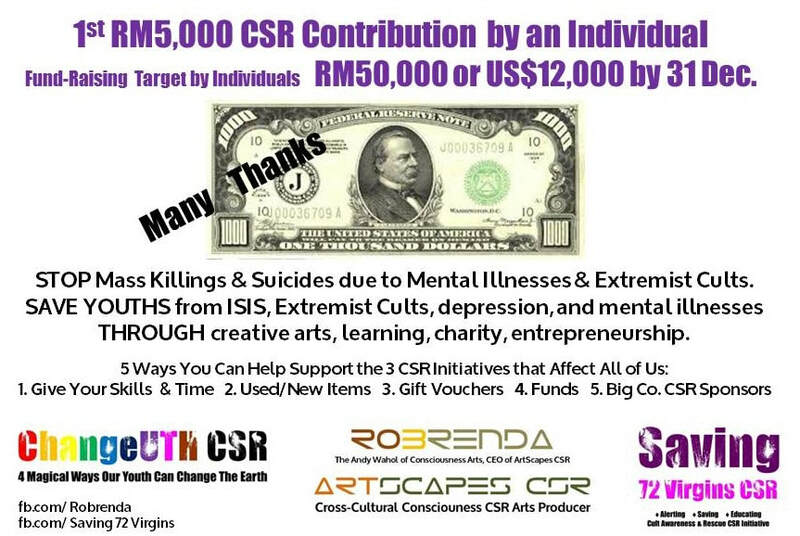 This offer is only good for the First 5 SERIOUS Buyers-Corporate CSR Supporters. 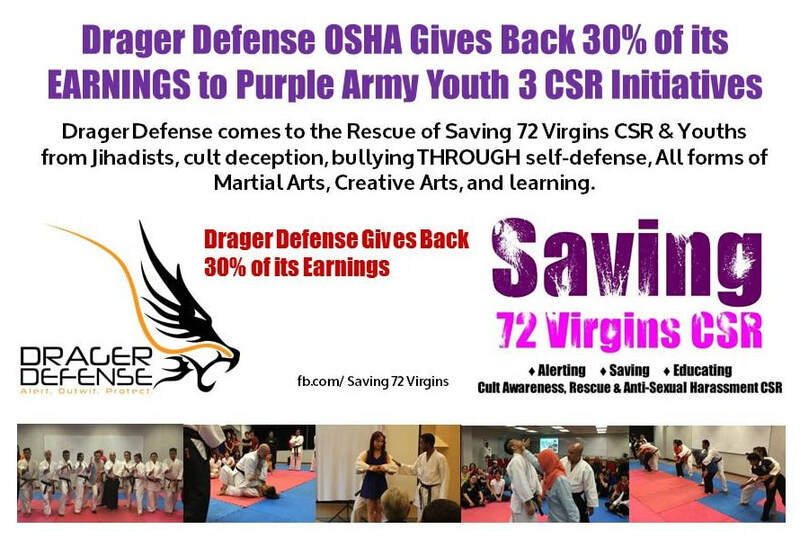 ● Drager Defense OSHA will give back 30% Earnings to Purple Army's 3 CSR Initiatives for workshops signed before Chinese New Year 2018 (before 15 Feb. 2018).